Today Facebook is what it is because of its News Feed. Over the years the News Feed has gone through numerous changes delighting both users and businesses at the same time. The Last few years has seen Facebook working aggressively in making the News Feed sticky so that users can spend maximum time on the platform while giving businesses the much needed ROI. Read: 6 Recent Changes By Facebook To Make Your News Feed Smarter. While Facebook dreams of equating the Internet, emerging markets will play a big role. However the biggest roadblock to this growth plan is the crappy internet connection from these developing markets, one of them being India. Interestingly, India which has only 10% of its total population active on social media, is also the second biggest market for Facebook after US. To give a boost to its audience from emerging markets, Facebook has announced that it is shipping several changes that will efficiently show you relevant stories in your News Feed when you’re on a slow connection and will let you compose comments on posts when you’re offline. The first major change will have the ability to show relevant stories on slower connections. With this new update Facebook will first look at all the previously downloaded stories present on your phone that you have not yet viewed, and rank them based on their relevance. Additionally, Facebook is now giving the ability to comment on a story when you don’t have an internet connection. While the ability to like and share posts when you’re offline has been available for some time, commenting is the latest update. Facebook understands that people in the emerging markets are joining the Internet in a staggering manner with a mobile and a 2G Internet connection. In order to make sure another billion people can connect using Facebook, the networking giant has been working on ways that makes sure people can load and scroll through News Feed on any connection speed. Earlier in the month of October, Facebook revealed that it has developed an open-sourced Network Connection Class, which is a way for Facebook to determine how fast a user connection is. The open-sourced program is helping Facebook to determine if a user is on a slower internet connection that won’t load videos; News Feed will then show you fewer videos and more status updates and links. Facebook has also invested in the best image formats for photo loading. All these major tweaks have been made keeping in mind the internet infrastructure in emerging markets and the need to reduce data costs. Definitely mobile is the game changer and Facebook has been focusing on the consumers in developing markets for years now. 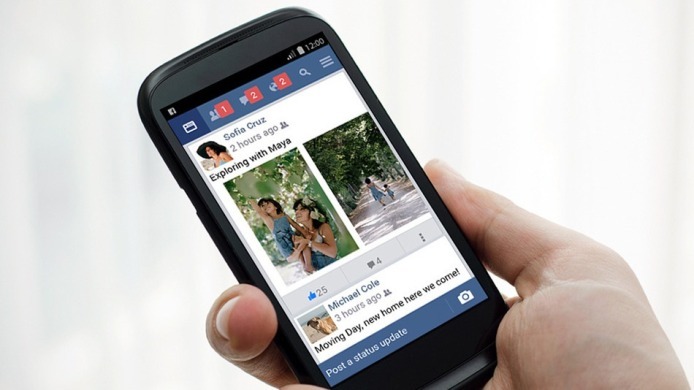 The latest changes only show the seriousness and desperation of Facebook with mobile in focus in the emerging markets.